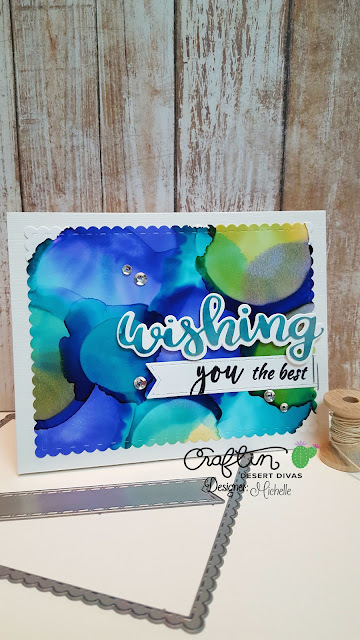 It's Michelle here on the CDD blog shareing my technique with alcohol inks. 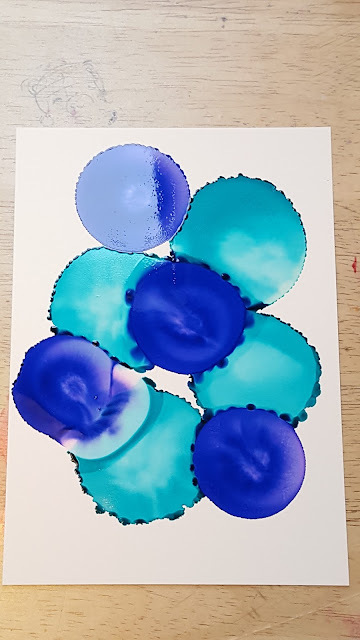 I have to admit, at first alcohol inks freaked me out!!!!! But I follow the lazy girl rule....let the alcohol blending solution do all the work!!!! And by the way....it is soooooo much fun!!!! 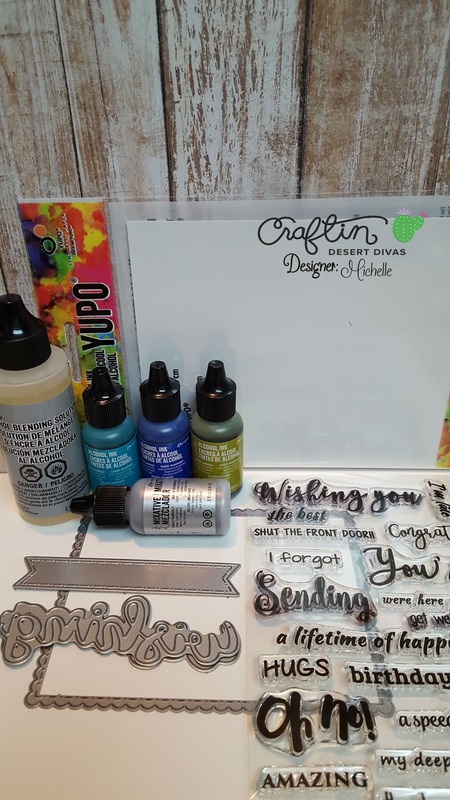 Start out with Yupo paper for alcohol inks ( I purchased mine at Michaels). I lay a piece of sticky clear contact on my surface, the kind you cover school books with. 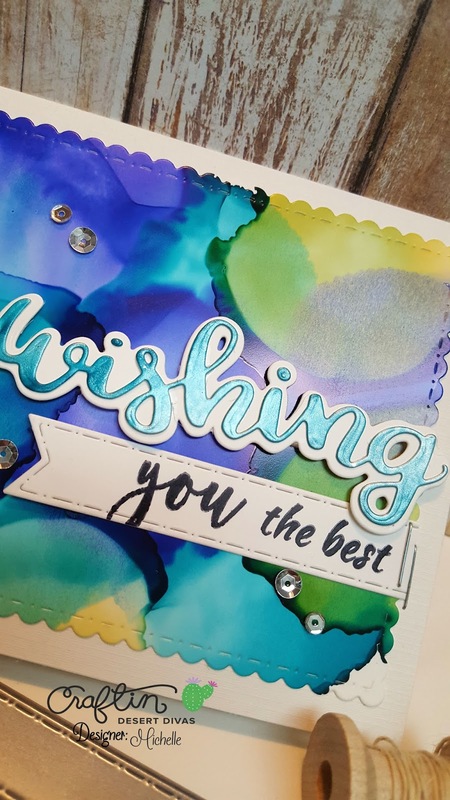 Lay the piece of Yupo paper flat and add a few drops of alcohol ink than blending solution. First I added mermaid ink than blending solution. Allow it to spread. Next I added indigo ink than blending solution and allow to spread. 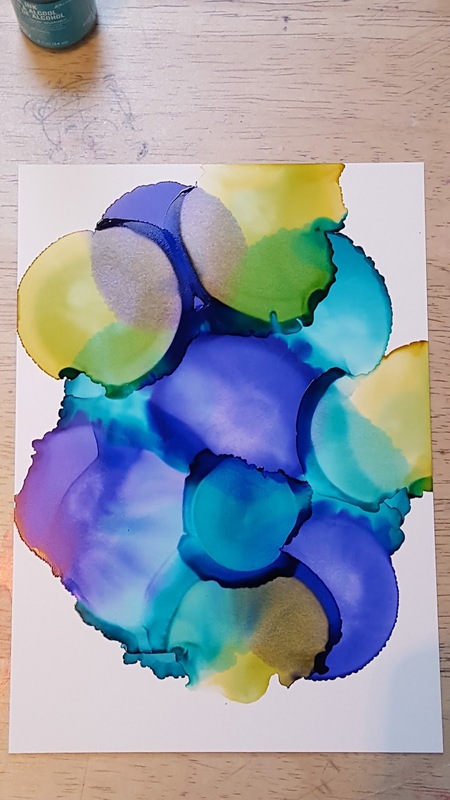 The last color I added is lettuce ink than added blending solution and allow to spread. Allow to dry for at least an hour. 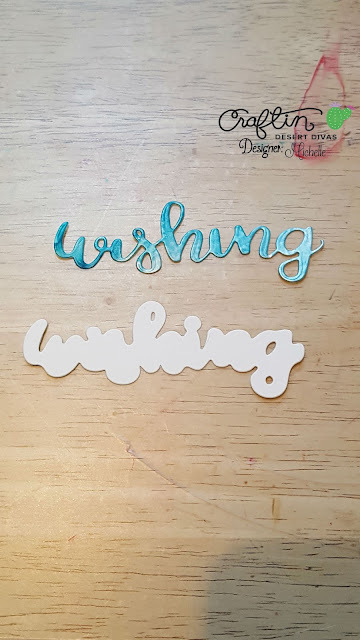 This panel is my card base. 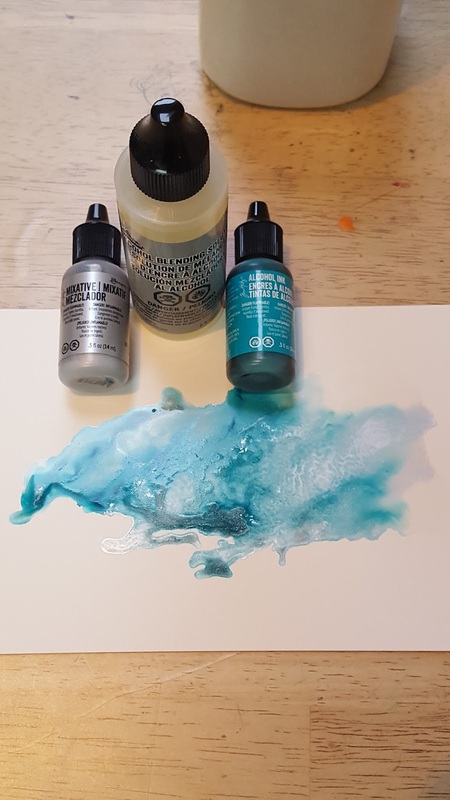 Next, I inked up Yupo paper with mermaid ink and silver metallic mixative and blending solution. Allow to spread and dry. 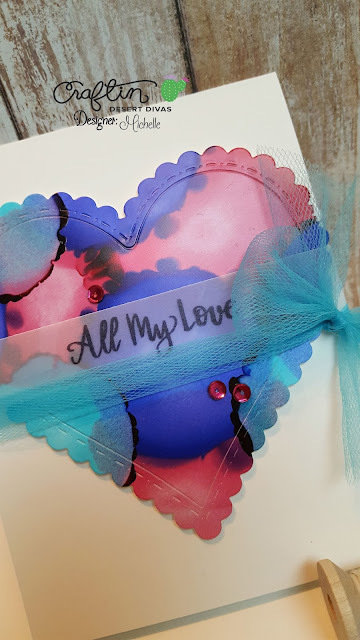 I assembled the card using Fancy Frame Die and Flag Banner Dies. I used the stamp set Wishful Thoughts. The metallic mixative adds such a beautiful shine!!! 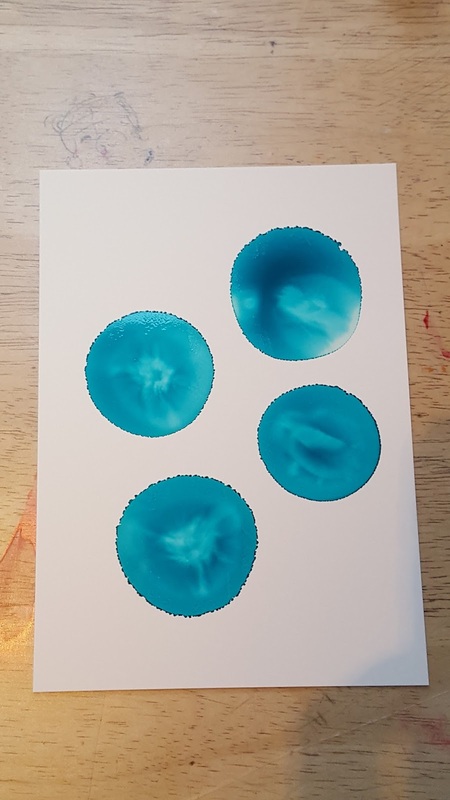 For this car I used cranberry ink, mermaid ink and indigo ink followed by alcohol blending solution allowing it to spread and dry. Than I used the nested hearts dies to cut the heart. 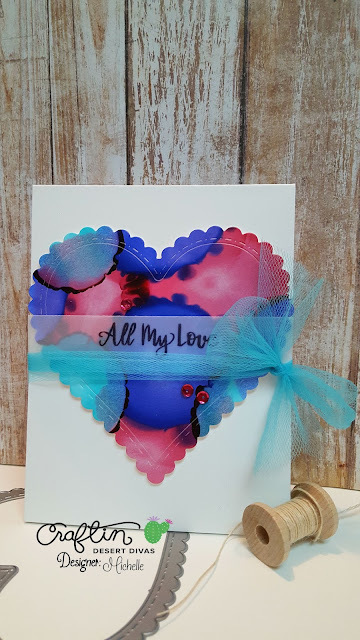 I used the stamp set Hugs and Kisses for the sentiment. Please give this a try...you'll definitely love it!!!!! Hope you enjoyed this post!!!! These backgrounds are so stunning !